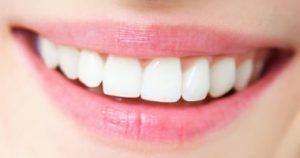 How effective are teeth whitening products? You are here: Home / Articles / How effective are teeth whitening products? There are many solutions to whiten your teeth. They can be purchased from your dentist or over the counter. Bleaching solutions contain peroxide which actually bleaches the tooth enamel. These whitening products typically rely on carbamide peroxide as the bleaching agent usually available in differnt concentrations from 10% to 22%. Although many teeth whitening products have proven to lighten tooth color, only dentist dispensed, home use, tray applied 10% carbamide peroxide gels carry the ADA seal. If you encounter sensitivity during treatment, consult your dentist about the side effects of whitening products.